People in recovery may suffer from low self-esteem and be looking for ways to change how they think and feel about themselves. Making these changes can help to prevent a relapse and improve overall quality of life. Self-esteem is how we view ourselves and our value in the world. It affects how well we trust others, how much we believe in our own abilities, and many other areas of our lives. People with positive self-esteem accept new challenges and are not afraid to take appropriate risks. They trust other people, believe in themselves, and are able to learn from mistakes without criticizing themselves. An awareness and acceptance of personal strengths. Being able to learn from mistakes. Not blaming others for problems. Confidence in yourself and your abilities. Low self-esteem means you may undervalue yourself and view yourself as unworthy, unlovable, or incompetent. People with low self-esteem may have so little trust in themselves and their abilities that they are afraid to try new things, or they end up not putting their best effort into things that they do – which can reinforce negative feelings. Fear of taking on new challenges. Believing you are unloved or unlovable. Being dependent on others to make decisions. Building self-esteem becomes much easier once you can recognize if you or a loved one is having negative feelings. Some of the signs are clear. Others are not as obvious. Improving low self-esteem can not only help you or your loved one avoid drug or alcohol relapse, but also help you enjoy life, do things that make you happy, and begin to accomplish personal goals. Building and maintaining your self-esteem are valuable tools in your recovery journey. Here are 9 tips for boosting self-esteem either post-treatment or during early recovery. One major cause of low self-esteem is the feeling that there is no stability in life. Many people who feel this way claim their lives are frightening and unpredictable. This feeling is especially common among professionals who feel their career is out of control. When someone feels responsible for life’s instability, self-esteem is often destroyed, especially when the person is the breadwinner of the family. Fortunately, there are many ways to help someone who feels this way. Reassure the person that nothing can ever change the way you feel about them. Whenever you have a chance, tell them how proud you are of the person they are. Never bring up past mistakes or addictions. Live in the moment as much as you can. If the person needs to talk about their struggles, listen. When given the choice, many people would rather have a listening ear than advice, so before you offer suggestions for how they can regain control of their life, let them talk. 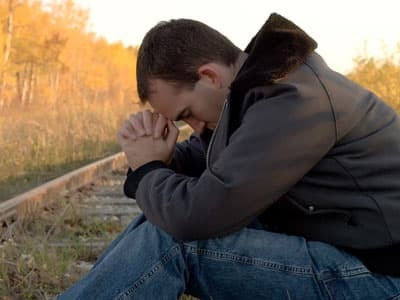 Many people who suffer from an addiction that has become known to their loved ones feel embarrassed and judged, especially if their loved ones have never struggled with addiction themselves. These feelings often lead to a sense of insignificance. When someone is constantly surrounded by people who have never abused drugs or alcohol, they may feel as if they aren’t as strong as their loved ones. This sense of insignificance can be a cause for low self-esteem. Remember that everyone finds ways to deal with problems. While misusing drugs and alcohol is one form of self-medication, other forms are often not as clearly seen. Some people relieve stress by obsessing over their appearance. Others suffer from an addiction to activities such as exercise and video games. If you are honest with yourself, it is likely that you will quickly discover that you, too, have suffered from at least a minor addiction in the past. If you would like to learn more about how to build self-esteem and prevent substance abuse relapse, call our helpline at 1-888-319-2606 Who Answers? . We are available 24/7 to speak with you and connect you with the resources needed to heal. Many people feel immoral because of their addiction. Many people feel immoral because of their addiction. Others have damaged relationships with their loved ones while they were still addicted and during the long process of recovery. Knowing loved ones have been hurt is enough to make anyone feel like a terrible person. Even if friends and family members provide reassurance that all is forgiven, many people feel a deep sense of guilt for years. Constantly reminding a loved one that you forgive the person and that he or she shouldn’t feel bad might seem like the best way to help, but, in reality, bringing up the past may make it seem as if you are dwelling on it. Instead, only talk about the past when your loved one is the one to bring it up. Whenever possible, shower the person with love and affection, and make it obvious that you enjoy the person’s company and love having him or her around. Who Answers? to get information about inpatient and outpatient relapse prevention programs in your area. Keep in mind that self-esteem usually is not improved immediately. It can take time. To keep you or your loved one committed to improving your self-esteem, you might want to work with your loved one on the tasks below or partner with a therapist, a family member, or a friend. Pay attention to your needs. If you are sitting at home and feel lonely, call a friend. If you’ve been working long hours, take a break. Take time to relax. Spend time with people who make you feel good. Seek out people who are supportive and respect you. Avoid people who criticize you. Learn something new. Take a class on a topic you’ve always wanted to learn about or learn a new skill. Take care of yourself. Eat a healthy diet, exercise, and get plenty of sleep. Do things you enjoy and that use your talents. Taking care of day-to-day responsibilities with your job, your family, or your personal life is important. But so is doing things that bring you pleasure. If you like to draw, play an instrument, or write-do it! Do things for other people. Volunteer at a local animal shelter, serve food at a soup kitchen, or help clean up a local beach or a park. Many people receive negative messages growing up or experience rejection in one form or another. Some people come to believe these messages and then repeat them over and over again to themselves. 1 This is called “negative self-talk”, and many people are not even aware that they are doing it. Pay attention to your thoughts. It can be hard to do this at first, because some negative thoughts are automatic. But once you start paying attention to them, it will get easier to identify them. Start by trying to record at least 10 in a journal or on your computer or phone. Challenge them. Ask yourself, is this thought true? Would someone say this to someone else? What am I getting out of thinking this thought? Try to do this exercise at least twice a day. The more you repeat the positive statements, the more you are likely to start believing them and experiencing fewer negative thoughts. If you or your loved one needs help with relapse prevention or has relapsed and is looking to get back into treatment, call one of our treatment support representatives anytime at 1-888-319-2606 Who Answers? .
. Substance Abuse and Mental Health Services Administration (SAMHSA). Building Self-esteem: A Self-Help Guide.
. UC Davis Health System. Self-Esteem.